7. ---Look at the picture. 看这幅图片 ---It’s nice. 它很好。 在国外，当别人拿东西给你看时，一定要表示赞美，所以用It’s nice. 14. ---How many books (can) you see?你可以看到多少本书。 --23. 23. Boy or girl? 男孩还是女孩? 28. ---Can I have some noodles, please? 我可以要一些面条吗? 29 . What (is) (for) dinner? 晚饭吃什么? 31. What would you like (for) dinner? 你晚饭想吃点什么? 1. Are you　in　the　classroom　now ?你现在在教室里吗? 2. Do you have a library ? 你有一个图书馆吗? 3. Is this your jacket ?这是你的夹克衫吗? 4. 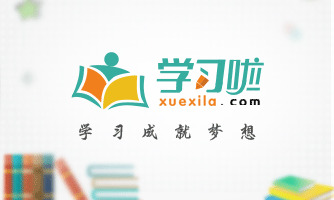 Is Miss Liu your English teacher?刘小姐是你的英语老师吗? 5. Is Mr Zhang your Chinese teacher?张先生是你的语文老师吗? 6. Are you on the second floor ? 你(你们)在第二层吗? 7. Where is the playground ? 操场在哪里? 8. How many students are there in your class ? 你班里有多少个学生? 10. Is his T-shirt on the wall ? 他的T恤衫在墙上吗? 11. Your school is cool .你的学校很酷。 Thank you ! 13. Your school is beautiful.你的学校很漂亮. Thank you . 14. Go to the garden .去花园。 OK . / All right . 15. This way , please. 请走这边。 OK. / All right . 17. What’s on it ? 上面是什么? 句子末尾是句号的(. )，应：This is…./ That is …. This farm is so big.这个农场好大阿! Look at the cucumbers. They’re fresh.看那些黄瓜，他们好新鲜! How many geese(goose 的复数形式)can you see?你能看到多少只鹅? Look at that dress. It’s pretty。看那条裙子，真漂亮! Can I help you? 需要我为你做些什么吗? What size? Size five. 几码?五码! Are they all right? 合适吗?